There is no shortages of portable speaker solutions available for your choice of media device. Many are soulless and cheap pieces of hastily designed crap ready to cash in and become your next office party secret Santa gift. There are also plenty of stylish über expensive versions for the audiophile in all of us, and will most likely be relegated only to our dreams. Then there is the Tombox. 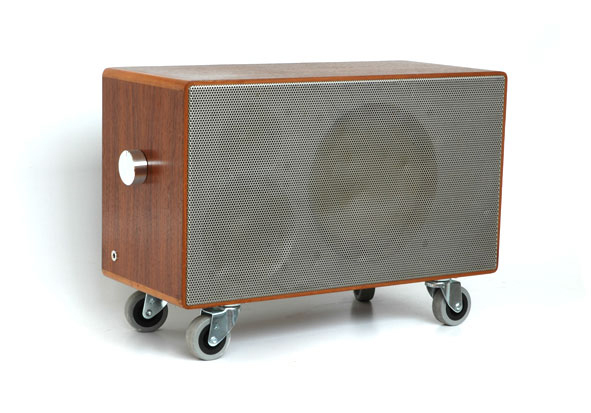 Pricewise they fall right in the middle, design wise they are delightfully retro and will suit any decor, and because they are made from recycled speakers and whatnot, they will appeal to the green upcycler in all of us. They are all different, and there are many to choose from. You can get one, and see and learn more here.